Stunned sorrow, hurried plans: Things have changed. 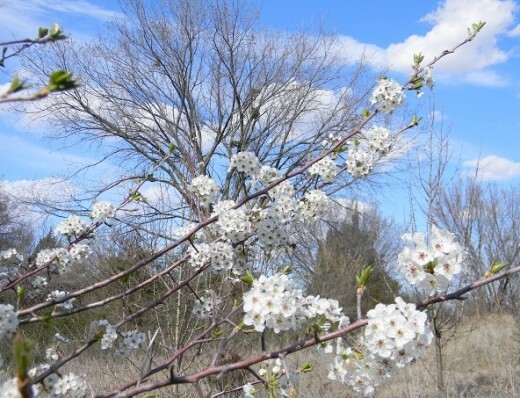 As I had left home that anxious afternoon, the wild plum and Bradford pear trees were white with full blossom, blowing gustily in stiff Oklahoma wind. My suitcase hurriedly packed, I tried to imagine what might have been forgotten, but the call to “Come quickly as you can” had interrupted my plans for that spring Wednesday. The call was not fully unexpected, but somehow as life goes, it still stunned my senses, charged every moment of that day…and changed my forever-after. Now as I tap these words with the keystrokes of a computer, the early springtime bloom of Oklahoma Redbuds has just faded. I missed their colorful flowers at the height of spring, but some few waited for my return home, as if to offer an upliftiing condolence for my sorrow. 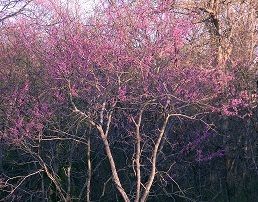 Unique to the Redbud tree are its early blossoms bursting from branch, trunk and limbs. 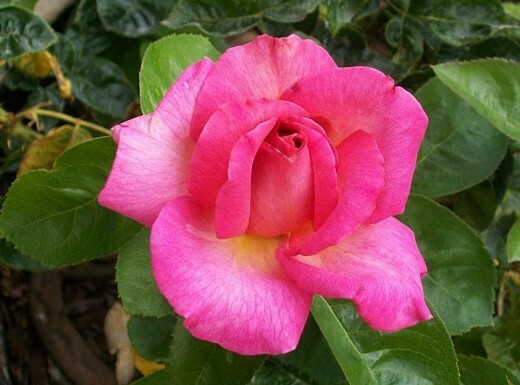 It is not a scented flower, but makes up for that by an abundance of vibrant pink-lavender-purple flowers. At Will Rogers Airport, I sighed with some relief as my small bag was checked in, boarding pass and gate assignment given, and strode to the security check-in line: Not too long this time of day, and seemed to be moving fairly rapidly as TSA employees called a name, reviewed papers, looked up and spoke concisely, “Next!” I wondered at the diverse faces, unobtrusive movements of those around me, each with bags or coat, one mother with a sleeping baby on her shoulder. Were they tense, uncertain, and were they on a flight for vacation, business, or deployment? There were no answers to my tattered thoughts, and I was glad no one voiced questions my way as I scooted my bag under the seat in front: Third row back - I could depart the plane quickly. The two hour flight was a bit bumpy, but the pilot said a tail wind would help us arrive a little early. That was good news since my schedule was so tight to catch the shuttle bus for a trip two hours north of landing. 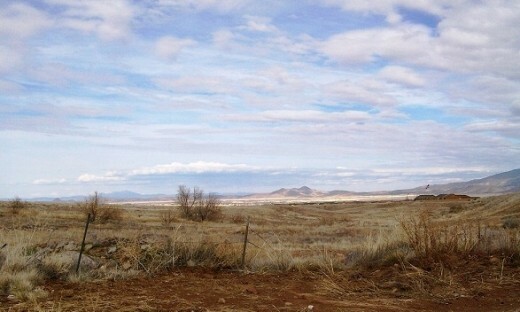 It would be dark before I arrived at my Prescott destination. As the shuttle driver deftly maneuvered Phoenix I-17 traffic, an orangey globe lowered into grey rain clouds on a sulky horizon. Enough raindrops fell to wet the busy evening world we traveled, and familiar saguaro-dotted hills dimmed against a listless sunset skyline. It seemed the world distressingly agreed with my somber mood. Watching the darkening clouds, the fading day, I struggled to grasp courage, exude maturity, cling to active faith, control this unbearable aching of a heart that knows what is to come will neither be easy nor changeable. My mother was dying. 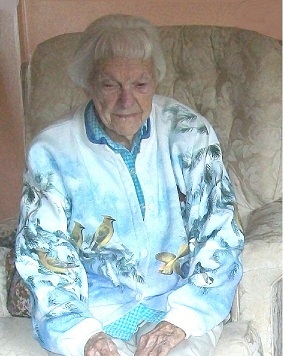 Mother, on her 97th birthday. My youngest brother was waiting at the shuttle shelter. Hastily grabbing bags, we climbed in his pickup parked by a light pole. Wendy’s was in sight and I asked to stop and grab a needed hamburger. We ordered another to take to Hospice for our other brother, who was with Mom. Scarfing down my burger, I listened as Don explained what seemed to be happening in Mom’s critical illness. The doctor had told him that ‘unless an unexpected miracle occurred, she would not be leaving the facility’. Don also informed me that our older brother would be arriving in an hour or so from Texas. We had previously expected Mom to be at in-patient Hospice for just a few days to gain control of a problematic occurrence, but her strength had not been sufficient to overcome it like expected. Her pain from bile-duct cancer –cholangiocarcinoma-- had become quickly intense, unbearable, and her vital signs began to deteriorate significantly. She had been diagnosed just six months earlier. She said then, "It is ok, God is helping me not be afraid. It doesn't matter if it is fast or slow, I will be all right." She was a nurse and knew what was likely to be. A background of hope diminishes, partner to uncertainty. It seemed that during this day there had been a slight upturn in her condition and perhaps she would make it till the weekend. Don described a portion of the ‘demise progression’ that Hospice nurses had explained, and as we absorbed the truth together, a companionship of sorrowful acceptance, and yes, a painful joy began to bud from the pangs of my heart. Mom would be leaving us for Heaven - we couldn’t know just when – but she would soon be freed from the overwhelming, devastating pain she was suffering. Morphine and sedative administered on as-needed basis could relieve most of the horrifying pain but her responses of realization, perceptive interaction, and communication were also dulled, as side effect. I would never before have described ‘painful-joy’ as realistic. Hospice personnel are a gifted and valuable source of assistance. That quivering black hole down inside began to calm a little as we siblings shared our pain, the fact that death was near and inescapable; and in speaking the long-held faith that we could be with Mom again in Heaven. It does not remove our agonizing grief, but the solace of faith in God makes all the difference for me, for my family. The progressive steps to watching death occur are of uncertain measure, but perceived in educated experience. These hospice nurses were efficiently caring, expert in deciphering need, kindness in their hands because of compassionate hearts. Even in their busy hours they tenderly cared for the tiny lady in her hospital bed like she was their own mother. So too, the steps to practicing the faith we claim, is upheld by an immeasurable grace of our Heavenly Father. 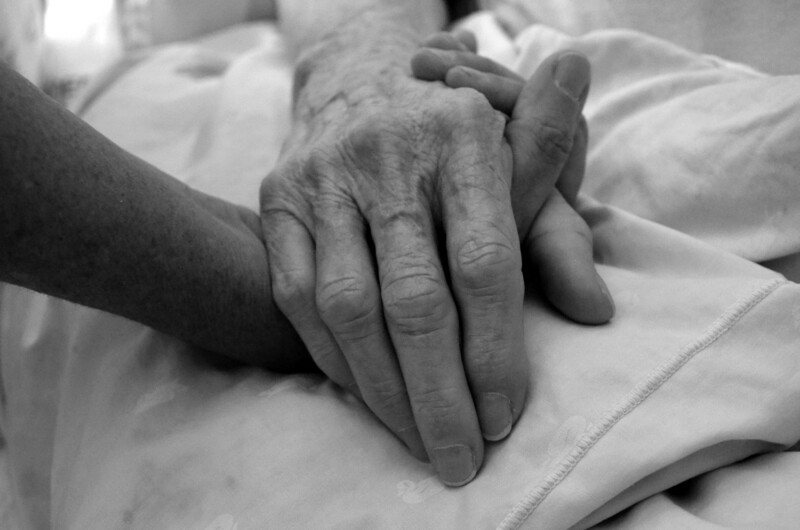 Caring hospice personnel can assist in understanding some of the processes of dying: God can comfort and strengthen those who trust and ask His help in a time of dire need, us knowing that He answers in wisdom, power and gentle mercy. With belief that life comes after death, for the Christ-follower it is an eternal majestic joy, peace, fulfillment, and makes all the difference-- even within the cataclysmic turmoil of grief, pain and helplessness of present moments. Some of Mother's beautiful roses, her favorite flower. So I stood leaning over bed rails, stroking mother’s white hair from her forehead. A nurse had earlier combed her thin hair into a soft cloud surrounding her head on the pillow. 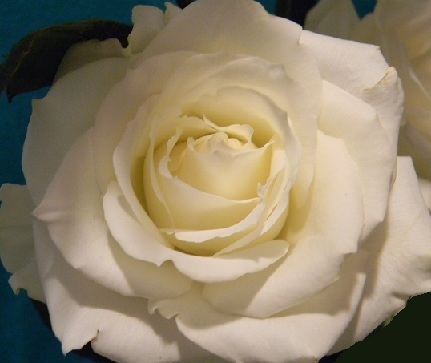 White hair, white pillow, white sheets, white silk roses on the table. But a hand-sewn quilt of pastel prints covered her small form, shielded her oxygen line, and I tucked the cover to her shoulders because she felt cool. The words I could not say spilled all over my mind: I wanted to talk about beautiful roses that Mom grew; her gorgeous Peace original and her Lucille Ball peachy neon buds, that vivid Spanish floribunda. I wanted to thank her again for her choosing pink and mauve floral sheets for ‘my room’ at her house. 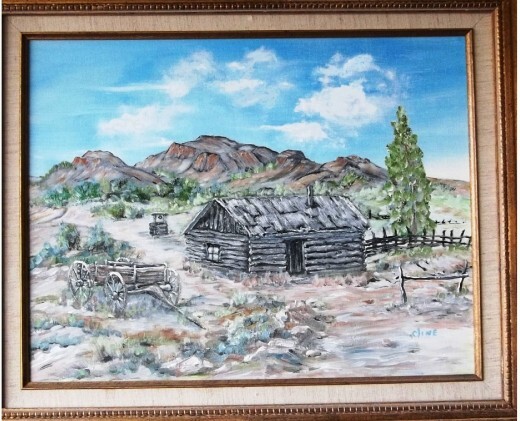 I wanted to hear her tell more stories of homestead living; of her horse, Bluebelle, who accidentally threw her at the sight of a wild cougar and caused dislocation of her elbow. I wanted to hear her describe the one-room schoolhouse where she graduated, and later taught: I wanted to ask how she gathered courage to move far across the States to better care for a sick husband: How she saw the miraculous light-presence of angels as a little girl died, a thrilling experience as a new nurse. And I wanted to tell her that the angels were watching over her…but I could not speak the words, “They will come and get you too.” I wanted to tell her, and I wanted to see them…wanted them to hurry…and wanted things to be like they were many years ago. My Mother lived with this promise in heart and mind. 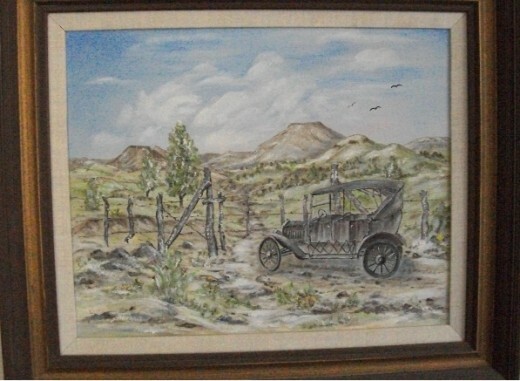 A few of mother's oil paintings. They depicted historical relevance. But, "Precious in the sight of the Lord, is the death of His saints." Psalm 116:15. Uncertainty, sorrow, stressful change, helplessness, viable emotions swirled the hours. The persistent fact was that Mom’s vital signs were declining, yet she clung to existence, to earthly life, not quite released to eternity. We could only wait. Reminisce. Remember. Be there! And cling to the hope of our faith…it is going to be all right. Death is part of life. Life comes after death. She is now peaceful, resting, not in pain. Tell her she can go. “It’s ok to go, when you want to, Mother.” "We'll be all right." The timelessness of a mother's love is just that; forever! 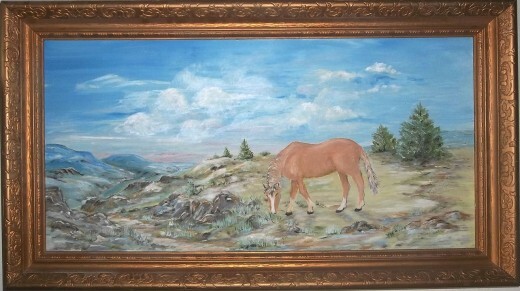 Her Good Shepherd, a large oil originial painted many years ago. If all you can do is touch, touch gently till it reaches the heart. In the long night fatigue, sleep came in oblivious pieces and often I would only realize I had slept when the nurses were working quietly with Mother. Time did not seem to matter, almost not exist in the dimmed hall lights of Hospice. I would stroke Mother’s gnarled fingers, so gently massage her arms. Always, I ended up caressing her forehead with its snowy hair: “I love you Mother, I’m here.” “You are safe right here.” This was a statement suggested by hospice staff that seemed to reassure and calm the patient whose perception seemed inadequate. However, the assumption was to be that we did not have the ability to say one was not functionally aware, and all conversation was directed as though the patient was fully cognizant. 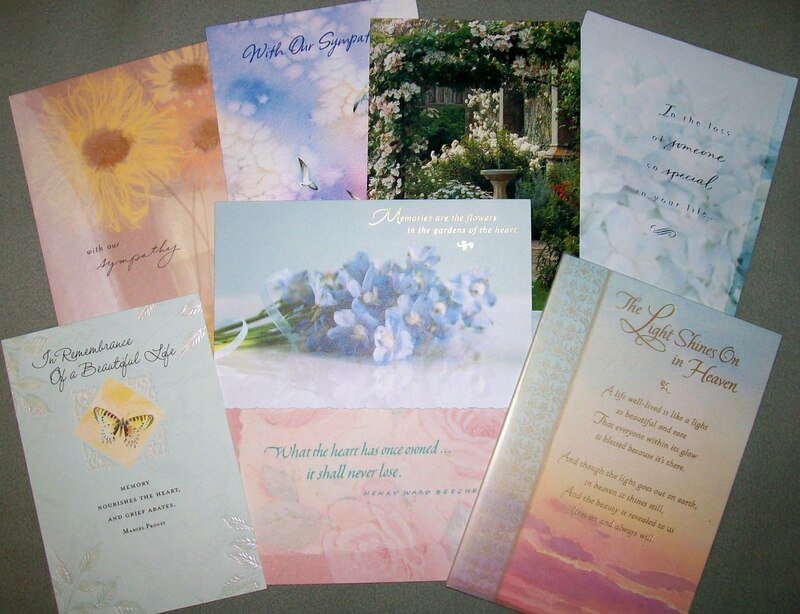 My brother Jay had brought favorite hymn CDs to play for Mom, as hospice information had said this was often supportive for those preparing to leave life. Jay and Don had shared staying day and night hours with Mother and after my arrival, I would have no declaration but that it was my time to be with her. Then oldest sibling Ed, shared in our vigil of love. With few words spoken, each knew the gift of love that had been lived through the years of childhood to the present time, and now it was slowly being removed from our presence. Time passes, things change, and we re-arrange the pieces left. Lying in Mom's pink and mauve floral sheets, I heard the garage door open. It would be Jay, who quietly came in and prepared for sleep. As he turned off the bathroom light, I met him asking, “How is she?” He paused. “It might be that Mom could catch the night train to Heaven tonight.” “Don could not sleep and came in early. Did you see the moon tonight? It is distinctly half-full: Right side totally not there.” I murmured, denying, unaccepting, but something indistinct surrounded us in the night-light glow, indecipherable, unnamed. Fear? Hope? Relief? A full moon had risen a few nights ago, and hospice nurses had verified the fact that many more births, accidents, deaths, happen at the time of a full moon. But tonight’s moon was different: It was bright in a star-sparkled sky, but it was not full. Less than thirty minutes later the telephone jangled loudly. I heard short muffled words and his quiet steps on carpet. I threw back my covers and met Jay at the door. “That was Don." Jay paused. " Mom passed about fifteen minutes ago.” It was 4:06 AM and Mom had flown to Heaven in the arms of Death Angel, who laid her gently in the mighty loving arms of Jesus. 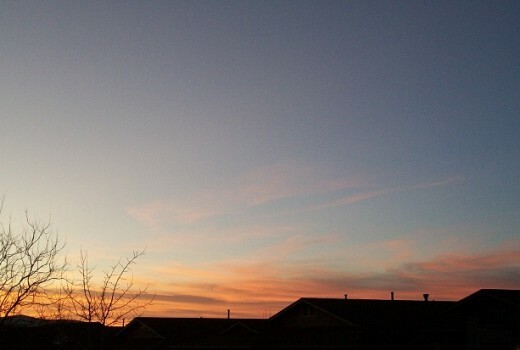 Sunset, on the day Mother went to Heaven. This weekend is Easter Sunday and it will be Mom’s first holiday in Heaven. Earthly relatives, friends, Abraham, Moses, yes, all perfected souls are now showing her around her new home. I can not imagine the majestic celebration that she has joined! I do plan to meet her there someday. “Earth hath no sorrow that Heaven cannot heal.” * *Words by Thomas Moore, Irish songwriter of “Come Ye Disconsolate”. I wish to express particular appreciation for the capable and compassionate staff at Family Care Hospice, Prescott, AZ . May they all find ever-increasing reward for their caring service, and strength for every difficult hour. Hospice nurses are very gifted people; trained, yes. And gifted too. If you would, please take a few seconds to give your answer here. Eventually death will meet us all. How much do you fear 'the dying'? So much, I choose not to think about it any more than I have to. Not a lot. It seems to be more a curiosity, an unknown factor than a fear. I do fear death, but see it as a new beginning beyond this existance. Though I fear death, I will trust in God who has conquered it, when my time comes. This poem was written by Mother at the death of her younger sister, who died suddenly leaving four young children. Encouraging hubs for further exploration. This is a paraphrased writing of the Psalm 23. It follows the verse continuity according to the original scripture. but with extended expression. 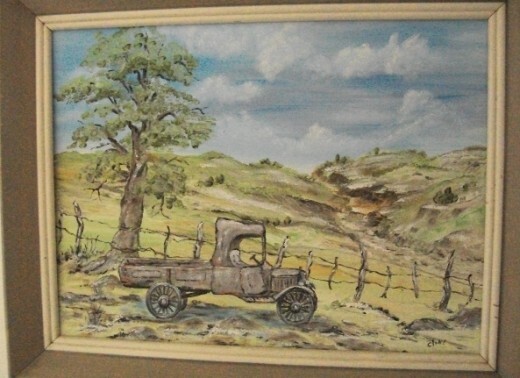 ladyguitarpicker thank you for sharing this tribute and commenting with encouragement. Blessings your way, also. 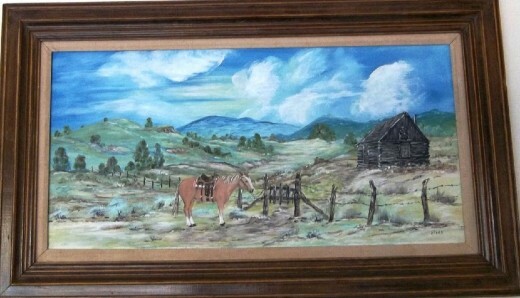 It has been almost three years since Mom's passing and many in her extended family have a painting to enjoy. And my re-reading of this hub has filled my heart with joy, hope and appreciation - again! Little Grandmommy, thank you for your visit here. Don't we all have special memories even of sad times - there are lots of stories to be told about each one. 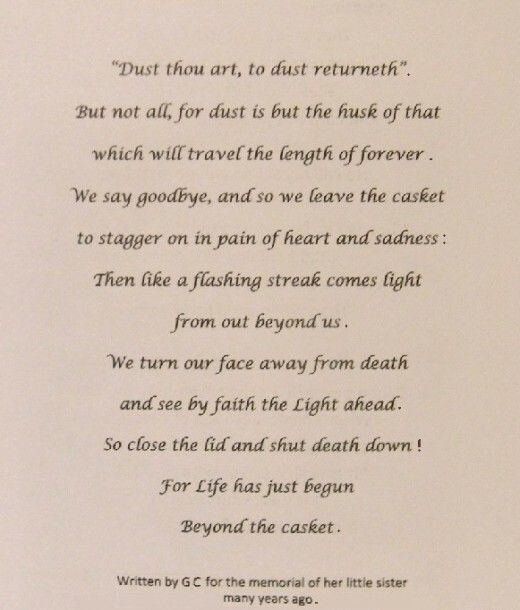 I do believe in that "for life has just begun beyond the casket" as her poem said, and it is a great comfort to know she is safe and perfectly well in Heaven. My Dad's hospice care was at their home. We were all there the night before he passed (July 4) He only recognized my Mom and my oldest granddaughter by that time. I am and only child. My children and their families and my mother went out when it got dark and lit the fireworks for the grandchildren. I stayed inside and sang Daddy's favorite song to him (Peace in the Valley). He slept. Daddy passed the next morning. It was as if he was at peace after seeing the whole family together. When I saw him in the casket, there was a look of peace on his face that I had never seen before, ever. I knew then his soul was at peace with God. I really love your mother's pictures and her poem was so beautiful as well. Frogyfish, that is the most awesome oil paintings! I am actually speechless with awe. 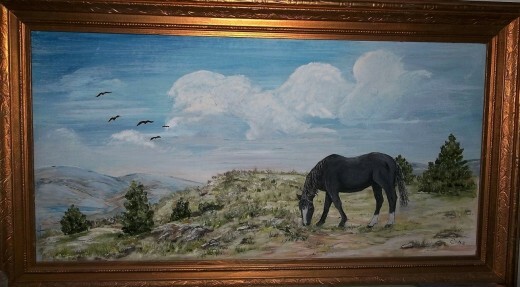 What a wonder privilege to live almost 100 years on this beautiful planet with the talent to paint. How sad to see our beloveds pass away! How we would rather keep them all with us until WE pass away. midget38 thank you for visiting and leaving lovely words. Hope your far-across-the-sea day is beautiful too! Frogfish, this is a wonderful tribute to your mum, who lived a good life in spite of what she suffered. Beautiful....and we all have to leave one day, but what is important is to live a life with courage and faith. Thanks for this beautiful write! 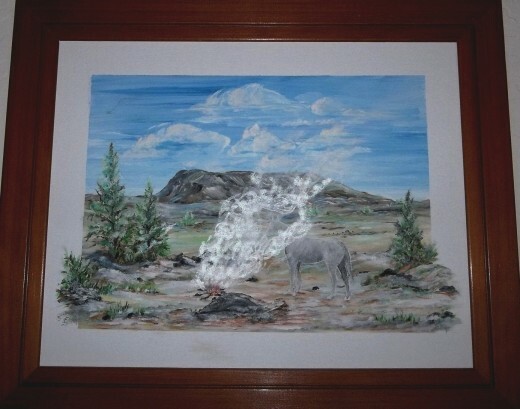 thelyricwriter, thank you for your visit and words. I continue to have 'those moments' when I remember how many things I have to be grateful for because of my Mother. My aunt passed to heaven this summer too and I envision them traveling those golden streets together! Wow! rajan jolly, thank you for your visit and comment, especially enjoying the evidence of beauty 'inside'. Thank you for your kindest words. Such a touching and beautiful tribute to your mom. All of us have to go one day but the spirit with which your mom lived and departed is a rarity. She was one blessed woman in life. Her beautiful paintings and especially the poem written by her showed how beautiful she was inside out. You too are blessed to have a mom like her, my friend. You have so many rich and fine memories of her. God bless you and stay strong. 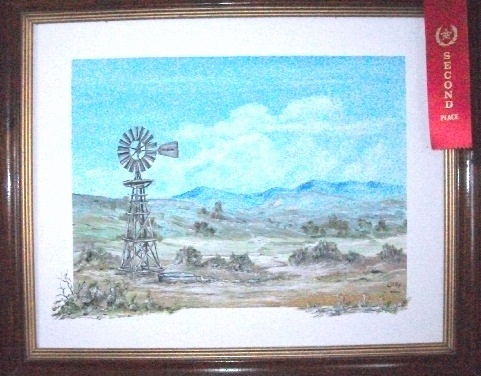 jill of alltrades, I am pleased for visit and your comment. You are a kind and gracious soul! Thank you for your sweetness. As a matter of fact, today I was thinking (even at work) that I was glad to have had the privilege of knowing my mother. Bit strange perhaps, but true. girishpuri, you are right that the show, life, time...all 'go on'. Thank you for stopping by and for commenting. The show must go on, Life is like that only, Great hub, Voted up. Oh, this is so beautifully written! What a loving tribute to your dear Mom! Your mother is a beautiful and creative soul. Now I know where you get you creativity and talent! drpastorcarlotta, your statement is so right! Thank you for your visit, and your blessing offered. MsDora, I do have smiles in my heart, amazingly wonderful, as I remember moments, as little memories jump in now and then. Thank you for your gracious words, your visit. What a beautiful tribute to your mother! I pray that the happy memories you shared together will bring smiles to your heart, in the midst of your grief. Your tribute is also a testimony of your faith. He draws closer in life's difficult moments. Lean on Him. Absent from the body, Present with the Lord! What a wonderful tribute to your lovely Mom. God Bless you always and may your days be long upon this earth. WD Curry 111, thank you for your sympathetic and responsive comment. 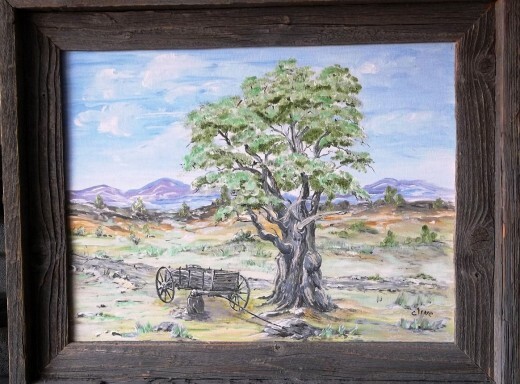 I have repeatedly appreciated moments in my Mother's life in memory, and though her physical mementos are wonderful, it is her 'soul-life' that I find most precious, most treasured as I review...her paintings do bring back beautiful memories too. I never know what to say at times like these. But I am there . . . in case someone needs something. I loved the paintings. They were an encouragement that I do have something of value to leave for my children. Mhatter99, I offer sympathies for your losses, as you state. Sometimes it does seem to 'all happen at once', but you can overcome and continue on. tammyswallow, thank you for visiting, and accepting the 'voice' of my hub/tribute. Thank you for your words here, and your evident understanding attitude also. Your words and your writing style are truly stunning. This is a wonderful tribute to your talented mother. It brought tears to my eyes and I am sure it was bittersweet to write. So eloquent and moving. Thank you for this. you are so right. but lately so much of my life have passed lately. i am sorry, i made so many friends. 20 less as of May. shiningirisheyes, your empathetic and understanding comments have also touched my heart. It seems so many have had similar experience in losing a Mother. I offer you appreciation and blessing for your expressions here, and tender thoughts your way, for your own memories and pains. Blessings to you as you continue to heal. suzettenaples, thank you also for your sweet words. My daughter and I were talking last week about the hub - she had finally dared to read it - and I realized anew that I could not have written it as is, had I not done so when the emotion was so new. I was indeed 'lucky' to have had such a special person in my life. She was a 'doer', a responsible and loving force FOR life. And I am forever grateful. What a beautiful tribute to your mother. She was such a lovely person. I offer you my condolences in her passing. 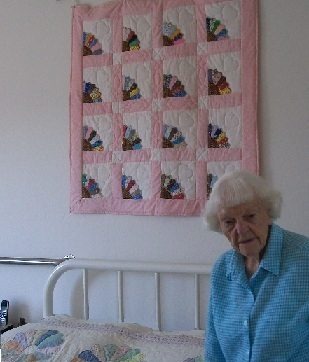 Her quilt, paintings and roses are beautiful and she comes across to me as a very special person. You are so fortunate to have her as a mother and she was so fortunate to have you as a child. This is a lovely hub and I enjoyed reading this. I had to walk away for a moment after reading this unbelievably touching and loving testament to your Dear Mother. I find myself at a loss for words - none I know of can fully express the deep meaning, love, gratitude and emotion that has been expressed here nor how deeply this has effected me in so many ways. The tears continue to slide down my face as I type the words in this comment section. I could go on about my experiences, so similar it is uncanny. However, it would seem a sin and a slight to do so. This is 100% your Dear Mothers glory and I am left speechless. I can never find the true words I would like to express to you for sharing this with myself and the world. God Bless you, your loved ones and your Dear Sweet Mother. A heartfelt follower until the end of my time. Victoria Lynn, thank you for your words of condolence and encouragement too. So moving and beautiful. What a special time with your mother. I'm sorry for your loss, though, but I'm glad you had so many years with her. Thanks for sharing your story, along with her wonderful poem and paintings. Lovely hub. Very comforting. Deborrah K. Ogans, thank you for your encouraging comments. And I believe 'your ten years ago' is a door in time, so to speak, that will always be in our 'present'. I receive your wishes of blessing, and direct them right back to you also. I shall expect to thank you again in Heaven! Frogyfish, Marvelous tribute to your Mother! You have tenderly, candidly and graciously shared precious moments of your Mother’s transitioning journey from earth to Heaven. I don’t think it is ever really easy but knowing that you will see her again can be comforting. 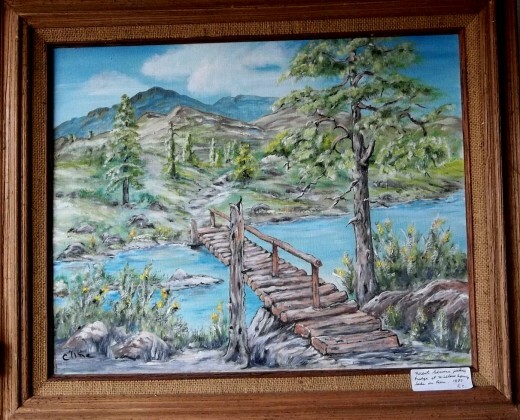 There is a tranquility in her lovely delicate oil paintings that should be cherished throughout your journey. What precious memories! Although over ten years ago I still remember getting the call… But as you say “ Life Keeps happening anyway” As Stars so beautifully expressed your mother is in two places “in Heaven and in your heart” Nothing is ever really lost in the LORD! Thank You Lord! What Joy floods my soul when I think of what a wonderful reunion it will be at the appointed time in Heaven with the Love ones that have gone on before us. This was heartfelt and beautiful! May the Peace of God be with You! Thank You for sharing, In HIS Love, Grace, Joy, Mercy, Peace & Blessings! God Bless You! tsarnaudova, thank you for sharing your tender spirit in such words. I am glad you visited and spoke your words! James A Watkins, thank you so very much for an encouraging set of comments! Your understanding of Immortal Truth that makes this hub possible is a mighty gift! Your words are a treasure at this moment and I thank you for sharing. Mother's Day is this weekend, and I think of her in Heaven - but unimaginable joy is there! 97 years is a long time to live in this Vale of Tears. Your mother's roses are sure beautiful. You have my heartfelt condolences. What is really cool is that you have quilts, paintings, and a glorious poem as evidence of her beautiful and immortal soul. Your writing is wonderful, by the way. In spite of the somber subject this Hub was a joy to read. How different death is for those who believe in Christ. Your mother has seen angels! "She just said she saw her husband"
I leave my comments to you with tears brimming over and touching my cheeks. I just read the touching comments you left on my hub on the death of my son and now that I have read this, it explains so much. Your beautiful mother - what talent she had! 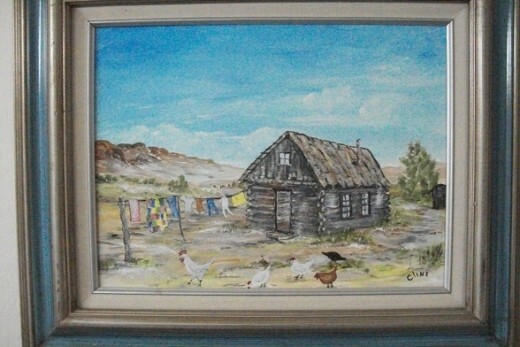 I love her paintings and her quilt. How blessed she was to have a daughter such as you. Something changes within us when we lose loved ones that were our whole world. You have given a remarkable tribute to your Angel Mother. Thank you for sharing her journey with us. Minnetonka Twin, Samantha Gold and Lita C. Malicdem, your comments were truly appreciated, and I thank you all for your empathetic thoughts and prayers. You understand this 'goneness', and yet we may treasure the gifts she gave throughout her life. And then...we are peaceful that she is home in a magnificent place. Thank you all for your encouragement! Your mother was blessed while on earth. She was a fine lady with great talents. She used in full force what G0d gifted her with. These alone, I pray, may bring you peace in your saddest times. You have your mother's talent which I'm grateful you share with us. I lost my own Mom to cancer and while I read this very beautiful tribute to your mother, I remember her. Drops of tears, heavy sighs, are reliefs to us left behind. Your mother is now in God's embrace. Rest assured that she now rests in peace. You and your other siblings will be with me in my prayers. God bless your mother and her family. What a beautiful and sad story. It brought tears to my eyes. Your mother lived a long life and was truly blessed to have her children by her side as the end approached. She is safe in God's hands. I am so moved by your tribute to your beautiful mother. She is with her Lord and Savior and at peace now. I want to thank you for sharing this sacred journey with us. I have lost both parents at this point and it does make you realize what blessings our parents are. Your mother was so beautiful and so talented. I have you in my thoughts and prayers. Just remember she is in good hands. Your perception and empathy are so evident, Mekenzie. Thank you for sharing your heart also. Your call is correct...they would not want to come back! Lovely hub and tribute to your Mother. Your devotion to her is clear and I could feel your love for her through your words. How awesome that all of the siblings could be together when the time of her parting Earth and entering God's presence came. My parents were both 68 when they died. Both left this earth far before I was ready to let them go .. but then it is not my call. I know one thing for sure, they would not want to be back here after standing in the splendor of God and arriving in the place I long to be. Great writing - awesome hub. Voted up and beautiful! Woops, I don't want to lose the votes there already, so won't make the change. Shucks on me, and thanks again for your idea! Barbara Kay, thank you for sharing the beauty of my story and your recognition of its worth because of your own sad experience. Storytellersrus, you gave an intriguing and true comment about the 'fifth choice'. Thank you - I'll need to put that in, even though it probably won't get many votes. Thank you very much for a perceptive comment. Movie Master, your kind sweet words are appreciated and I thank you for your condolence. Thank you for your visit and wishes, sincerely. The tears are still in my eyes, your words so gentle, sweet and beautiful. Thank you for sharing your last moments with your mother, please accept my condolences. 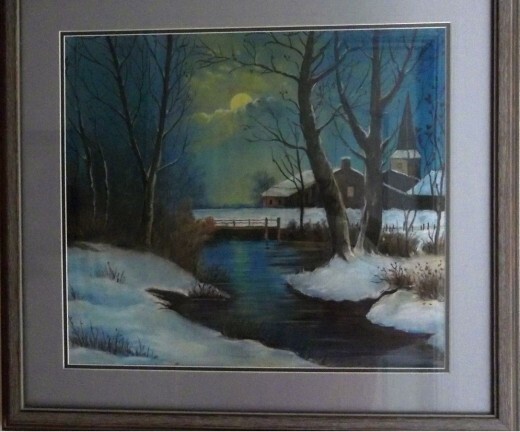 Your mother's paintings are wonderful, she was a very artistic and special lady. I need a fifth choice in your survey. I don't fear death. Fear is for the living. As a human being, I fear the death of my mother-- of all those I love. You have my deepest sympathy. This was a beautiful hub and tribute. This was a beautiful sad story. I've lost loved ones too and I know how hard their passing is even if we know they have gone on to a better place. Thanks for writing your story. prasetio30, thank you sincerely for coming to share my story. I am happy it gave you inner beauty for your morning. FaithDream, you are right that some happenings are forever engraved on our heart...and those last four days spoken of are beautifully just that...and bring peace that I was with her and she knew it. Your last sentence is so kindly correct. Thank you for sharing too! This was a beautifully inspiring piece. I know the pain of grief so well. This was such a beautiful tribute to your mom. It brought back so many memories of my own mother's passing and of her last days. They are forever engraved in my heart. I know for you too will be able to look back at this hub in future days and it will become more meaningful each time you reflect upon it. Thank you for sharing this piece of your heart with us. Very inspiring hub. My friend, you made my morning so beautiful by reading the inspirational hub. Thank you very much for writing and share with us. No one better than how we share our love with others. Voted up and awesome. Sparklea, thank you for your empathetic words and expression of sympathy. Thank you for the beauty that shines out of your own soul! Blessings your way too. Kashmir56, thank you for your kind, true words. Thank you so much for your thoughts and prayers. I know that this loss is so common...and our courage can come from God. Thank you so much for your sweet comment. Hi frogyfish, so sorry for your loss,has i read this account of your travels to see your mom and than knowing that her time was growing shorter,it reminded me of when my mom passed away . But they are now in heaven, for they believed in Jesus Christ and so they have been saved, and we will one day see them again. I hope with each passing day the pain in your heart will be replaced by the happy memories you and your mom shared . Your are in my prayers and thoughts. itakins, thank you for your words. I was indeed blessed with a wise loving mother. It is amazing how many have mentioned the passisng of their own mothers or other loved ones...and in all the sorrow, tears, there are moments that will become treasures beyond what we could imagine. Thank you for your visit here. Faith Reaper, thank you for your empathy with this hub...and may you continue to find strength and peace as you journey this life with your dear sweet mother. Blessings your way. Happyboomernurse, thank you for expressing your sympathy and appreciation gleened from my words...as I mentioned in a previous comment, I felt I just HAD to write this...I think it is a part of my healing. Perhaps it will be also for another, who may read it. I do appreciate the kind loving expressions of sympathy expressed by so many hubbers...I thought perhaps it would not be acceptable. All praise and thanksgiving to our Lord. This is so beautiful, and touching.You were blessed to have such a mother,and again to be able to spend this precious time with her. I too am reminded of the last days before my mother's death - the laughter and the tears. I really believe they are looking after us still- from a much better place. What a beautiful, loving tribute to your mother. I still have tears in my eyes as I write this as it so deeply touched my soul. This is one of the most profound writings that I have ever seen about death and dying and written from such an intimate viewpoint. Each paragraph filled with the swirling emotions of love, faith, acceptance, pain and hope. Every photograph stunningly beautiful and also embued with meaning. And your Mom's great faith and artistic talents also come shining through. May God Bless you and your loving family in this time of grief and sorrow and may he use this exquisitely rendered hub to help other families through their own grief. marcoujor, how fine that you gave several 'coincidences' about this - and I'm sure our mothers are friends, chatting and enjoying peace together! Ruthie and Jeri! 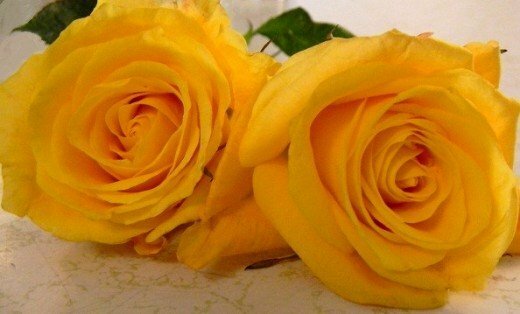 Lyricwriter, thank you for your beautiful sharing here...so many have mentioned their pains at the death of loved ones. I do depend upon the cradleing of God's love, and I thank you for your sympathy. Also, Hospice is such a dreadful, wonderful place of dying, an experience for survivors that will never be forgotten. Blessings to your wife and family, as the realization of her loss continues. How beautiful and tender a tribute to your precious Mother... I can feel and appreciate every word as it will be two years for me on May 7th that we lost Mom, quite suddenly. Your closeness to your siblings is wonderful, a testimony to your Mom. 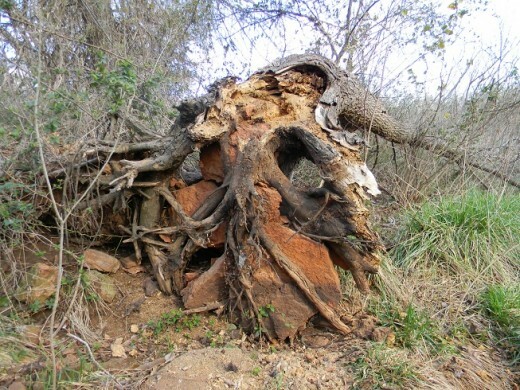 Her wisdom and strength is so evident in your writings and inner beauty. I can only imagine how proud she is of you. I am sure she has befriended my Mom in heaven as they sound like two peas in a pod. Mom was a wonderful writer and her very best friend's name is Ruthie. Voted UP & AB. Hugs, mar. Peggy W, your words of empathy and comfort are helpful and true. Though you are now 'alone', I believe you realize that The Spirit is now and will be with you, never leaving you fully alone. Thank you for sweet comforting words. Fennelseed,I did pour out my love and devotion...my gratitude for the wonderful person my mother was...I guess even without specifically intending that. May hope and comfort surround us all in time of distress! Lady_E, you are right...the treasured memories are mine forever! And I do know the supernatural comfort and hope that come only from God. Thank you each one for your gracious and heartfelt words of support and sympathy. Each is most special! Very touching to read. A very personal Hub. Inspiring too. Thanks for sharing lovely paintings by your mum and the poem. She is so special and no one can take the beautiful treasured memories you have of her - of all the times you spent together. May God's supernatural comfort be around you. A beautiful and very moving account of your last hours with your devoted mother. 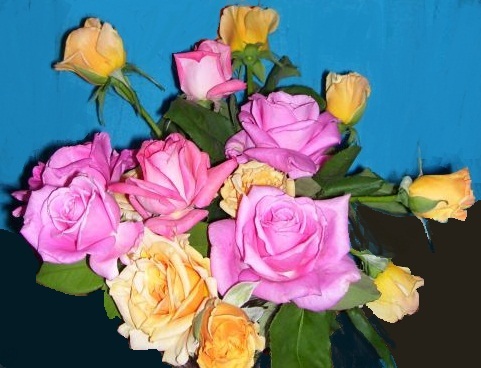 Your mother was such a very special person as shown in her love of roses, amazing quilts and skillful artwork, but more than this the deep love expressed by her and her devoted children speaks heaps of the closeness she created in her own family. You have poured out your own love and devotion and I sense huge release in your words in telling this incredible story. What you may or may not realise is that your beautiful words here, straight from your heart, provide so much hope for others who are grieving the loss of a loved one. I am so sorry for your loss, I feel your pain, I am also grateful for reading this. Thank you. I could not help my tears from falling as I remembered sitting by the bedside of my mother in January of 2010 as she left this world to enter heaven. Yes, there is comfort in knowing we will see our loved ones again someday, but it is still painful to no longer be able to talk to them, touch them, see their smiles and hear their voices. I do often see my mother in my dreams. I am the last remaining of my nuclear family of 5. It was so nice that your siblings were able to be there with you at that time of your mother's leaving. She was a wonderful artist and person just from what you have told us and shown us in this hub. Thanks for sharing your precious memories with us and May God bless all of you during this time of grieving. 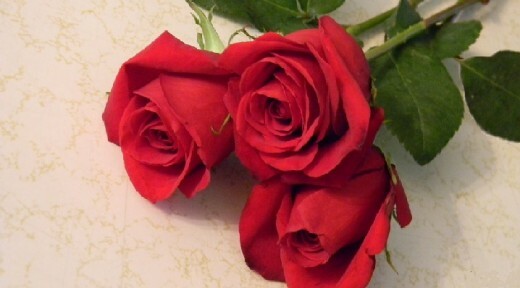 Rosemay 50 and Poohgranma, thank you so very much for your kind understanding and words of comfort, hope. Such grievious pain is indeed becoming more sweet than bitter already...and that only because of the Hope present! Stars439, I hope this tribute brings comfort to others as your words have to me. Blessings your way also. Anglnwu, my tears also flowed as writing this-I think what writers call 'purging', but your empathy is especially comforting as it exudes from your own heart. You made me cry with your tender recounts. How sweet to know that she's saved and happy in the arms of Jesus--a far better place! Your mother was obviously very talented and she's blessed to have her children by her side in the end. Thanks for sharing and my deepest condolences to you and your family. Dear frogyfish : Your mother is in two wonderful places, in Heaven, and in your heart. Your hub is a lovely tribute to your wonderful mom. God Bless You. How bitter-sweet your words and how comforting to those of us who are awaiting our own loved ones departure from this realm. Your sharing has brought a new found strength to me and I am so grateful. Thank you so for this beautiful recounting of her journey's end. Thank you for sharing these most precious last hours with us. That your Mom hummed along with Dolores was truly moving. She was not afraid, she was ready to go home knowing that she left a world of love for you all. Her paintings are beautiful and her poetry touches the heart. Death is painful for those left behind but she will be watching down on you now with peace and the most beautiful smile. North Wind, thank you so for your comfort in words and empathy! christopheranton, I do indeed think our mothers are neighbors! How nice! teaches 12345, that verse too, is a lifeline for me. And I am indeed blessed by the promises of Scripture! always exploring, thank you for your confident true words. 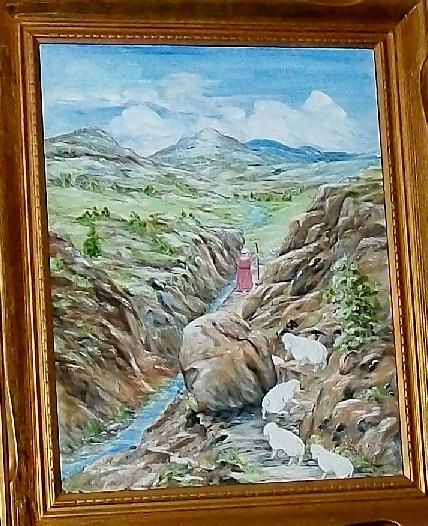 There is another hub with more of her paintings...but the favorite of all is her Good Shepherd.She painted this for her family...and then did a smaller version for each of her children too. Blessings and grace to you all for your comfort in words! Isaiah 46:4 is a beautiful theme to live by. He really was true to His word with your mother, and it is an example of what we can all look forward to (no, it's a promise). What a lovely heritage she has left for her children. I know that when you meet again, you will be able to thank her for being so faithful. You are truly blessed. Thanks for this beautiful account of the last days of a truly lovely lady. My own mother died just over a year ago. She was the same age as yours. Perhaps they got mansions beside each other in Heaven. I'm certain they would get on together. I cried as I read this, frogyfish, because I know the grief and joy you feel when losing someone you love who loves and knows God. It is not like ordinary grief. It is sweeter for we know that death is conquered through Jesus Christ our Lord and Savior. When you were describing the scene in the Hospice, I remembered what Paul Washer said about his mother. 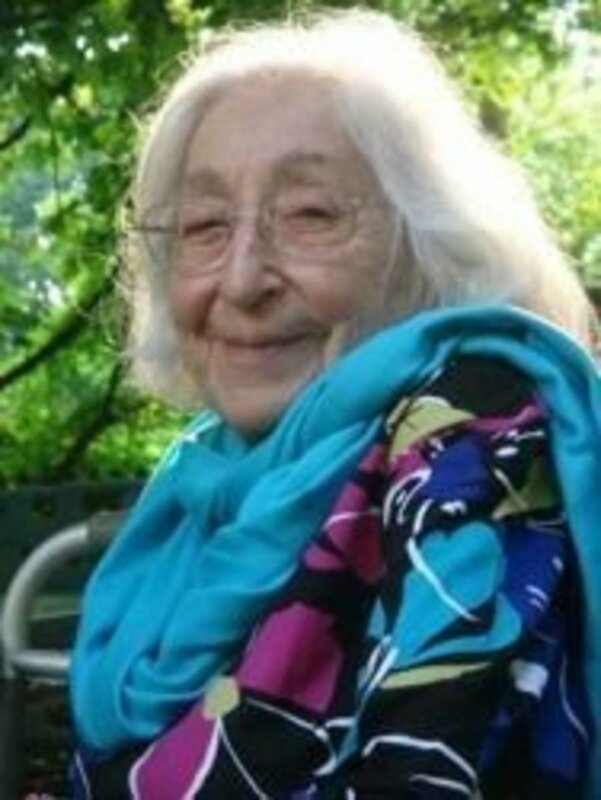 She had been sick (she had cancer too) and it was believed that she was on her last. She knew it was her time as well. She had been unconscious and when she awoke and saw her daughter she said, "Oh, it is just you." She had hoped that the next time she opened her eyes it would be to see her blessed Savior. As Vance Havner said, Saints don't ever say good-bye, they only say 'until'. Gods Blessings on you and your family. He has already showered many upon you as is evident in the many treasures left behind by your mother. That painting is a reminder of how she earnestly wished to follow Him and the gift of knowing that your mother passed to life eternity is priceless. What great blessing has flown forth!